ElAmigos release, game is already cracked after installation (crack by Codex). Updated to version 1.0.8 (29.10.2018); included DLC: Halloween Scare Tactics, Alienware Jackets & Shirt. CODEX Release !!! Hra je aktualizována na verzi 1.1 !!! ▪ Exciting single-player campaign: you will be waited for more than 40 hours of play, in which the fiction is elegantly woven into a real historical context. Plunge into the dangerous world of the Cold War and take a look at the story from a new angle! ▪ A new word in the world of turn-based tactical games: an incredibly flexible gameplay in which it's important to correctly place sentinels and think through every assault for victory. ▪ The battlefield is the whole world: place your agents around the world, and in any battle you can count on their help. But remember that the enemy also can request reinforcements - for example, artillery punch or air support. - Count your chances and do not rush to the embrasure without the need. ▪ Information - the guarantee of victory: By injecting agents under cover into the execution areas of operations, you will increase your chances of success. But the enemy agents do not slumber, so for victory you always need to be one step ahead. ▪ Hide in the shadows and do not raise the noise: Perform secret operations while remaining unnoticed: shoot the weapon with a silencer, silently eliminate enemies and use the most sophisticated spy equipment of the Cold War era. ▪ In your hands - the fate of the most important counter-intelligence operation of the Cold War: Try the valuable employees of the KGB and the CIA or take on the service of dangerous criminals. And do not neglect the people over whom the government put secret experiments: their abilities too can be useful! Manage the activities of the entire organization, building logistical chains for obtaining weapons and resources and creating a network of informants. And when you need your direct involvement to solve the problem, take matters into your own hands. This patch contains requested improvements and fixes. As always, thank you for your support and all the feedback. Rest assured that further updates are in the works and we're always interested in hearing from you! 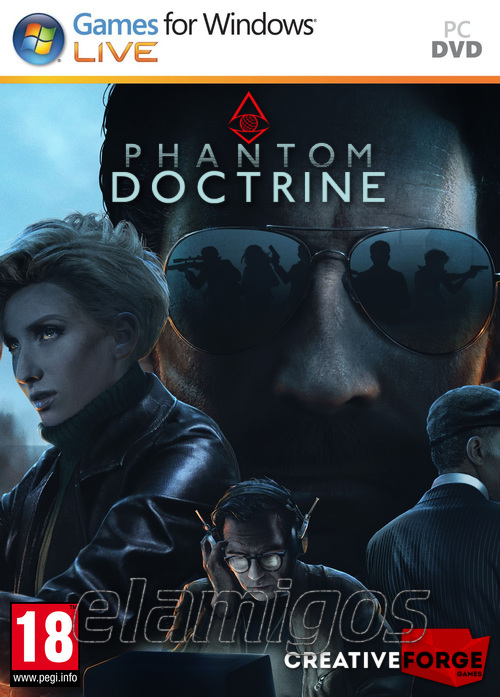 Phantom Doctrine is a strategic turn-based espionage thriller set at the peak of the Cold War. 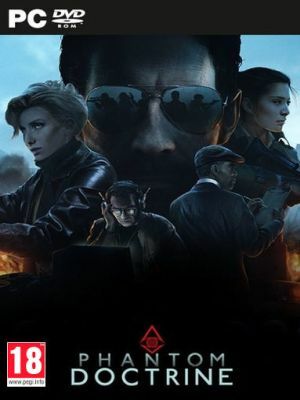 Drawing on a wide variety of influences and capturing the subtle intrigue of classic spy films, the game thrust the player into a mysterious world of covert operations, counterintelligence, conspiracy and paranoia. As leader of a secret organization known only as The Cabal, you are charged with preventing a global conspiracy that seeks to pit leader against leader, and nation against nation.